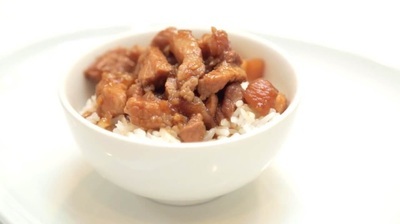 Another popular Taiwanese dish is Braised Pork over rice. 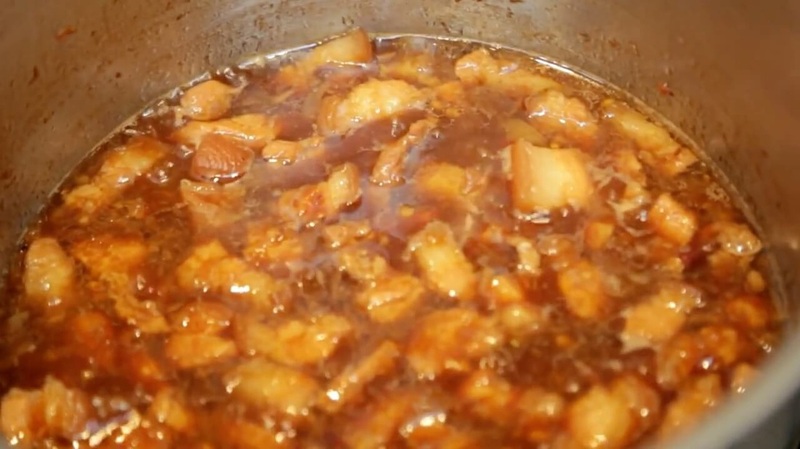 It's really braised pork belly usually cut into smaller pieces or sometimes minced. The Pork Belly is braised for an hour to make the meat tender and it's simmered with many fragrant ingredients including 5 spice powder and dried shallots. This is a traditional homestyle cooked Taiwanese dish because pork belly is not an expensive meat and it's great comfort food to ladle over a bowl of hot rice. When my Grandmother cooked this for us, she would typically make it in big batches that would last us a few days. The leftovers were great and would almost be better the next day. Tip: If you like boiled eggs, you can throw some in there for soy sauce eggs (similar to the tea eggs they sell in Taiwan's 7-Eleven stores). Ready in Total Time: 1 hr. 15 min. Brown the pork belly then begin to add the ingredients for the braising liquid. 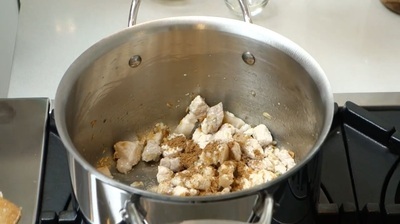 Bring to a boil then simmer on LOW heat for 60 mins.